Content by Tony Macklin. Originally published on May 11, 2011 @ tonymacklin.net. Thor is a spectacular hodgepodge. A replacement director and a squad of misbegotten writers try to dodge the impressive special effects. Thor is an amusement park ride through the Marvel universe from the realm of Asgard to earth, and back, and forth. Around and around. 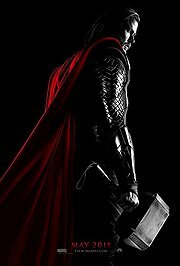 The character of Thor (Chris Hemsworth) is quite a thorhead, so much so that his father Odin (Anthony Hopkins) banishes him to earth. Back on Asgard his brother Loki (Tom Hiddleston) is plotting nefariously. 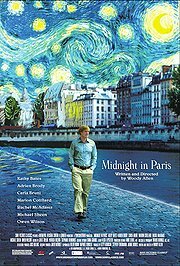 Director Kenneth Branagh starred as Dr. Frankenstein when he directed the film remake of Frankenstein (1994), so I guess that qualifies him to put together a powerful, patchwork monster of a movie. In his Frankenstein, Branagh had movie legend Robert De Niro portraying his creation; in Thor, he has Aussie Chris Hemsworth as his title character. Branagh trod a lot of stages and made several movies of Shakespeare's works. But Thor is a millennium away from Shakespeare -- it's more Fumblehammer. Branagh tries to cope with 3-D -- some added late in the project. The vistas are remarkable, but many of the action scenes are just chaotic motion. However, when The Destroyer attacks earth, it's effective -- full of hurtling cars and fiery explosions. There's also an allusion to Tony Stark that reminds us of Iron Man. Miller and Stentz collaborated on Agent Cody Banks (2003). From Cody to Thor. In Thor, there are three tiers of acting. 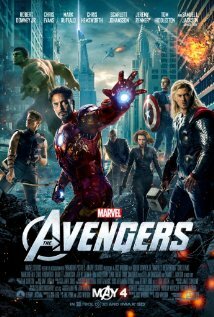 The best are Anthony Hopkins (Odin), Stellan Skarsgard (scientist Erik Selvig), and Idris Elba (the gatekeeper). On the second level are Natalie Portman (Jane Foster) and Chris Hemsworth (Thor), who use great smiles to compensate for lackluster dialogue. The third are vapid or one-dimensional. Tom Hiddleston (a Richard E. Grant without Grant's personality) is sneeringly bland as Loki. Thor's four buds -- three males and a female --have little or no personality. One guy eats a lot, but that's it. Where's a Shakespearean fool, when you need one? Thor is from the Marvel Entertainment assembly line. Samuel L. Jackson originally was canceled but was brought back to be a salesman after the final credits. Jackson (as Nick Fury) appears with Eric, promoting the movie Captain America, coming soon. One ride after another in the Marvel amusement park. Thor is thunder in bumper cars. How many rides do you want to take?